"Outstanding workmen - professional and helpful... Fantastic!" Heffernan Painting offers a complete and complementary range of residebtial and commercial services, all of which meet not only the highest industry standards, but our own discriminating standards of excellence as well. We are so confident in the quality of our work that we guarantee it! Click on the Warranty link for details. With any home improvement project, one of the biggest challenges homeowners face is being able to envision the finished product. Appropriate color selection and coordination is key, and we understand that sometimes it can be a daunting task. Heffernan Painting helps take the uncertainty out of color selection by making it a collaborative and enjoyable experience. We offer a one-hour complimentary color consultation with a professional ASID-certified interior designer for most contracted projects. If you need help beyond color selection, full interior design services are available. Read more about our "Painter For A Day". 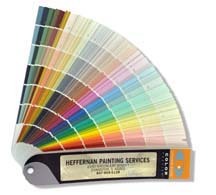 Heffernan Painting offers peace of mind, taking every precaution to protect your biggest investment. Our professional painting technicians are there to do a job, not disrupt your life. They will treat you and your home with respect, covering and protecting floors, furnishings, lighting fixtures, woodwork, window frames, basically anything not being painted. Surfaces are properly prepared and painted or stained to the highest industry standards. We understand that you have to live in your home, so our team will work as quietly as possible and at the end of each job, cleanup is so thorough, you would hardly know we were there. 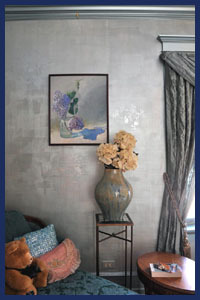 Read more about our interior services. All projects are of equal importance to us. Whether you have a North Shore mansion, a small city condo or a commercial rehab, Heffernan Painting never compromises on quality. Our team follows detailed, standardized processes to ensure consistency and quality every step of the way – guaranteed. We will make sure, that first impression of your home counts. Read more about our exterior services. Heffernan Painting never compromises on quality. Our paint technicians follow detailed, standardized processes to ensure consistency and quality every step of the way. From preparing surfaces to final painting and staining, you can expect only the highest level of craftmanship. Read more about our custom carpentry and handyman services. Below is a list of the cities and towns that Heffernan Painting currently services. If you don't see your area listed, please feel free to call and see if our service area has expanded. Chicago's North Shore: Evanston 60201, 60202, 60203, 60204; Wilmette 60091; Kenilworth 60043; Winnetka 60093; Glencoe 60022; Highland Park 60035; Highwood 60040; Lake Forest 60045; Lake Bluff 60044; Lincolnshire 60069; Wheeling 60090; Deerfield 60015; Northbrook 60062; Northfield 60093; Glenview 60025; Des Plaines 60016; Buffalo Grove 60089; Mount Prospect 60056; Arlington Heights 60005; Park Ridge 60068; Lincolnwood 60712; Niles 60714; Skokie 60076, 60077. Chicago: Rogers Park 60626; Edgewater 60640; Ravenswood 60625; Andersonville 60660; Lincoln Park 60614; Uptown 60640; Lakeview 60613; Wrigleyville 60659; Roscoe Village 60657; De Paul 60614; Lincoln Square 60640; Bucktown 60647; Sauganash 60646; Peterson Park 60659.